Full Sail University is proud to welcome Orange County Mayor Teresa Jacobs to the university’s on-campus performance venue, Full Sail Live, where she is scheduled to deliver the 2013 State of the County Address on Friday, June 14 beginning at 9am. 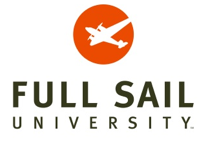 For more information about Full Sail University, please visit www.fullsail.edu. As part of this year’s theme “A Sustainable Orange County – Our Home For Life,” Mayor Jacobs’ remarks will focus on the economic milestones achieved and the vision for a sustainable future in Orange County. The topics discussed will also allow citizens to learn more about Orange County’s diverse, resilient and thriving economy, and how our citizens have played a vital role in sustaining the community as the best place in the world to live, work, play and raise a family. A rebroadcast of the State of the County Address will air at 5pm and 8pm on June 14, and will be available on Orange TV, Bright House channel 199, Comcast channel 9 and AT&T U-Verse channel 99.